Note: While Cathy is out on Sabbatical, Louise is writing all the reviews. Cathy will return February, 2018. Sasha and Richard were high school students living in Oakland, California. Sasha was middle-class and attended a small, private school. Richard lived in one of the poorer Oakland neighborhoods and attended a large public school. 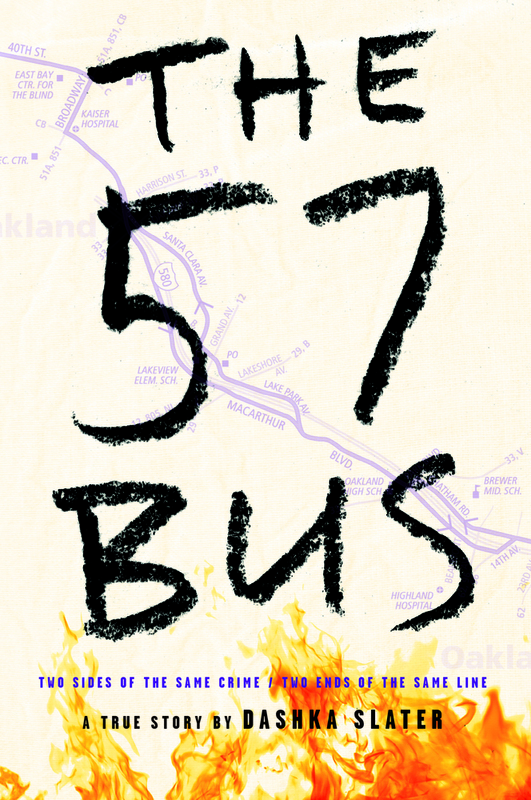 For eight minutes every day their paths crossed on the 57 bus. Then, one afternoon, Richard set fire to Sasha’s skirt. A reckless act that left Sasha with severe burns and Richard charged with two hate crimes and life imprisonment. Award-wining journalist, Dashka Slater, chronicles the true story of Sasha and Richard, one wearing a skirt; the other carrying a lighter, and how an implusive decision changed their lives forever. 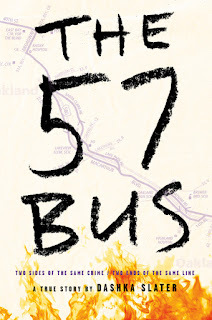 Slater compelling narrative examines race, class, gender, identity, morality, and forgiveness. Divided into four parts, readers are offered an in-depth look at both Sasha and Richard, the fire, and then ties it all together with the trial and aftermath. Chapters are short, but powerful and at times upsetting. Back matter offers some gender-neutrality milestones, and statistics on US juvenile incarceration. Highly recommended for libraries serving middle, high school students. To write this review, I used an Advanced Readers Copy (ARC) from ALA Annual in Chicago.